Sharon and her partner, Paul from Clonskeagh in Dublin 16 just needed more space. Now they have a fabulous bespoke CUBE 23 in their back garden. With four children, ages 17, 15, 11 and 8, Sharon and her partner, Paul from Clonskeagh in Dublin 16 just needed more space. 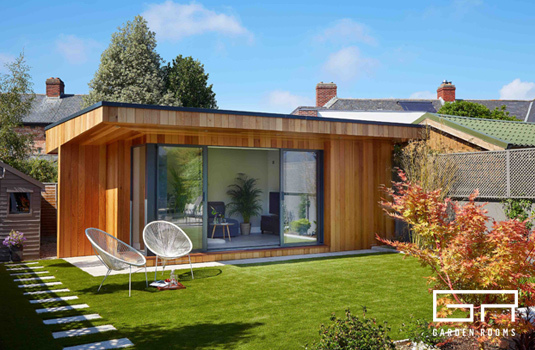 Now they have a fabulous bespoke CUBE 23 in their back garden. 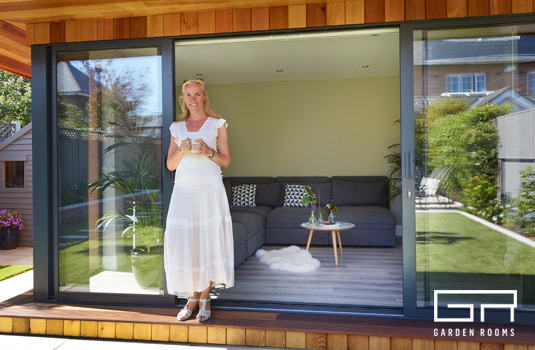 ‘We do have a large kitchen / dining area and a double reception room, but it seemed to be hard to get an uninterrupted space anywhere.’ Says Sharon. Inside the Garden Room is a desk at one end where their 17 year old son, Jack, studies for his leaving cert. There is also a Playstation and an L shaped sofa for the kids to hang out on. Sharon mentions that her kid’s friends sometimes even come around in their pajamas to watch movies, and then go home ready for bed!